VirtualTourist releases its list of The 10 Best Ways and Places to Spend Thanksgiving, based on travel research trends and the expert insight and feedback from travelers on VirtualTourist.com. 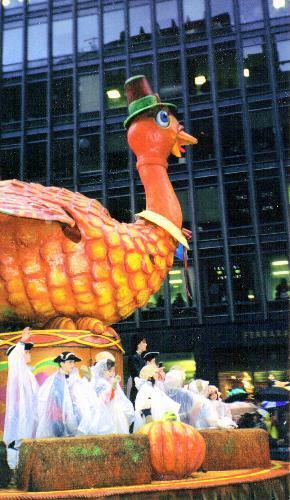 Offering everything from where to get traditional Thanksgiving grub in the least traditional of places, to how to start the holidays old-school style, VirtualTourist.com members know how to talk turkey. VirtualTourist.com, the largest online travel research site and travel community in the world, today released its members' and editors' top picks for The 10 Best Ways and Places to Spend Thanksgiving. Whether you can't wait for the holidays to start, are dreading the thought of the craziness, or just want an unusual way to kick off the season, VirtualTourist.com has the answers. "Offering everything from where to get traditional Thanksgiving grub in the least traditional of places, to how to start the holidays old-school style, VirtualTourist.com members know how to talk turkey." 1) Plymouth Rock; Plymouth, Massachusetts: For a truly traditional Thanksgiving, head out to Plymouth, Massachusetts and see what is believed to be the welcome mat of all welcome mats. A vibrant town with a myriad of attractions, historic and otherwise, this is the place for the ultimate traditional Thanksgiving. Be forewarned, though, most visitors report surprise at the relatively small size of this legendary stone. 2) Thanksgiving Grocery Store; Paris, France: Thanks to the imagination of its owners, you can not only celebrate Thanksgiving, but go to it. Thanksgiving, a grocery store that carries primarily American goods, is the perfect place to pick up those hard-to-find Thanksgiving staples (not to mention a large selection of Tex-Mex supplies). If you decide to stop by, be sure to check out their aptly-named, Cajun restaurant, Bayou La Seine. 3) Pilgrim's Rest, South Africa: A gold-mining town with more than its share of museums, restaurants and out-of-the-ordinary activities, this picturesque village is a relatively unknown gem. Well-preserved and well-restored to resemble its original state, this town takes great pride in its history, offering tours and gold-mining excursions. You may really be thankful if your day panning for gold pays off! 4) Loy Krathong Festival; Thailand: We don't remember anything about the Pilgrims landing on Plymouth Rock in a lighted boat, but maybe that's because they hadn't seen the Loy Krathong festival in Thailand. Held each year around the end of November, this water procession of multi-colored, brightly lit vessels may not be the traditional Thanksgiving Day parade, but the views are just as stunning. 5) The Leiden American Pilgrim Museum; Leiden, the Netherlands: Before making the trip to what is now America, the Pilgrims made a quick stop-over in Leiden--who knew? This extensive museum shows what life was like for them during that time as well as the very interesting history of this historic town. 6) Poutine; Quebec, Canada: If you think Americans do gravy right, you should try it up in Canada. Yes, your cholesterol will jump a few points, but this traditional dish of heavy gravy on French fries rivals anything on an American Thanksgiving table. 7) Chapel of Thanksgiving: Thanksgiving Square, Dallas, Texas: Built in 1977, this almost other-worldly attraction is an all-faith chapel resembling a lit candle. In keeping with the state tradition, this structure is big, as is the extensive stained glass display inside. Be sure to be there at noon when the bells peel. 8) Yams; Kara Market, Togo: Aside from their exceptional taste and unusual colors, in this part of the world, yams have great cultural significance. An integral part of the economy, and significant figure in the social traditions of this land, yams here are much more than a once-a-year delicacy. 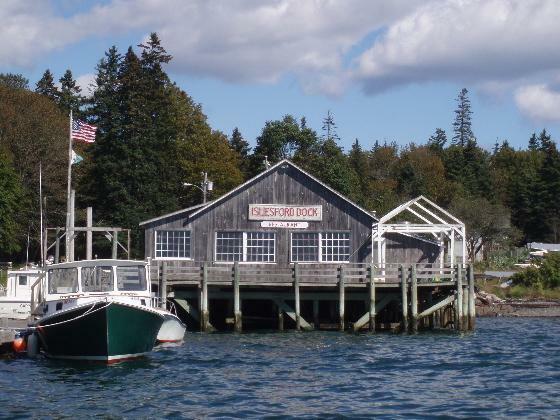 9) The Cranberry Isles, Maine: VirtualTourist.com members say this quaint, serene patch of the world is the perfect calm before the holiday storm. Although there is plenty to do (the area is especially committed to the visual arts--local galleries and events abound), there's only one way in--by boat. There may be plenty of attractions, but no bridges! 10) Istanbul, Turkey: While not the capital of Turkey, Istanbul is the country's largest city and according to VirtualTourist.com members, also its most beautiful. It might be tough to find floats and football, but with mosques, restaurants and enough shopping centers to get a jump on those holiday present lists, you'll be thankful you came. VirtualTourist.com is one of the largest online travel communities in the world and a premier resource for travelers seeking an insider perspective on travel information, from Las Vegas hotels to New York City restaurants. At http://www.virtualtourist.com, real people share real advice on places they've traveled as well as their hometowns; they research and plan trips, and they interact with other avid travelers via travel forums and email; over six million travelers use the site monthly. VirtualTourist boasts more than 1.5 million travel reviews and 3 million photos on more than 25,000 destinations worldwide. Unbiased, user-generated content on Hotels, Attractions, Local Customs, Tourist Traps and much more is posted entirely by VirtualTourist's more than 930,000 registered members from over 220 countries and territories, and the site's Trip Planner feature allows users to create custom print-and-go travel guides. Among VirtualTourist's awards and accolades: 'Sites that Changed Our World,' The Guardian; 'Favorite Website,' Newsweek; '35 Best Travel Sites,' Travel Leisure.